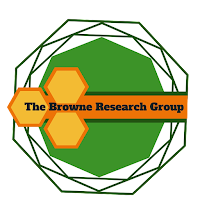 The Browne Group welcomes new Postdoc Qun Cao. Qun joins our EPSRC funded project in mechanochemistry. Qun obtained his PhD under the guidance of Mark Muldoon at Queens University Belfast and then carried out a Postdoctoral position with Victor Sans Sangorrin at the University of Nottingham before joining us in Cardiff.